I didn’t grow up in a religious family. Growing up, about as religious as I got was being sent off to Sunday school every Sunday morning. I don’t really recall anything particularly resonating with me and I guess that is reflected in the fact that as I have gotten older, I have chosen not to follow God as a belief system. What I do recall, is at about the age of 14 or 15, I became fascinated with the idea of becoming a White Witch. I don’t know how it came up. Perhaps there was an article about it in one of the magazines I (perhaps ironically!) “religiously” purchased every month. There was probably a “spell” or something in one of them and that set me off on a path of getting every book on Wicca out of the library that I could safely smuggle home without Mum and Dad finding out. For some reason, I didn’t want them to know about it. The idea of becoming a new age Pagan, died pretty rapidly in my tender teenage years. Most of the spells called for stuff like burning candles which there was no way my Mum would have allowed at that age, and things that I had no idea how to get hold of. Like Sage! Sharing my bedroom with a younger sister stopped any kind of privacy too, so my brief stroll into witchcraft was confined to reading about it. What this probably suggests is that I’ve always had the propensity to believe in something. But I didn’t know what. I never had any guidance on this from my parents. Interestingly, as I write this blog, I’ve realised I don’t think I’ve ever had a conversation in my adult years with my parents about belief and spirituality. What I can probably conclude though, knowing my parents and how I have been brought up, is they would never have forced whatever their belief system is on me. As I’ve got older, I’ve become very much a believer in Fate. Everything happens for a reason. You might not find out that reason until many years later. You might never find it out at all. But it’s there. I found comfort when breaking up with friends or boyfriends in believing that we had both served whatever purpose we had come into each other’s lives for. I still do very much believe in this. I had a very close friend who introduced me to Dave. We are no longer friends, and I like to think that perhaps she came into my life simply to introduce me to him. Ultimately, this way of thinking helps me to find peace during the sadness and stress of relationships breaking down. The “why” is not my story to tell, but there was discussion for Dave and his family to move to London when he was younger. I sometimes wonder if had that happened, would my course have brought me up North? Would I have met him in London instead? Dave is far less keen on this idea, but I like it because I’m just as in love with the idea that we are meant to be together as I am with him! Can’t help it. I’m a hopeless romantic! As is often the case when people experience life changing events, I picked that spiritual journey back up that my teenage self had abandoned, after being diagnosed with MS.
To sum it up simply, I’d say that I’m just trying to “find what feels good”. I’d definitely say that my belief in Fate has taken the not too far removed leap, into believing in Universal Energy. And once you understand that Energy and start to notice the gifts that the Universe gives you, you can create your own magic. I’m still on a learning journey with this which is opening exciting doors. It’s taking me down a couple of dead ends as well, but that’s ok. It’s part of the process. As I go through this journey, I am coming across some remarkable people, and the first is Rebecca Campbell. 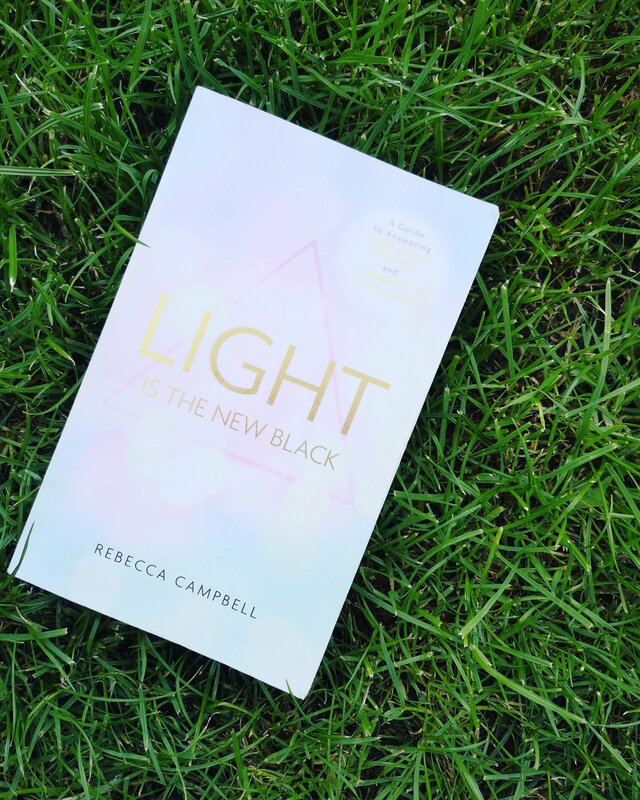 * Her books ‘Light is the New Black’ and ‘Rise Sister Rise’ are a must-read for anyone who wants to start understanding the power that the Universe has, and more importantly, use it to their advantage! I was lucky enough to see her speak earlier this year, and even the most cynical couldn’t deny the amazing impact she had on the room. The energy was electric. She’s a very special lady! One thing that particularly stuck out for me was in her first book. She knew she had a calling to help people but she didn’t feel that she had the right life experiences. She called out to the Universe, whether consciously or not for those things. She didn’t believe that she could fulfil her dreams without them. Then her world fell apart. She lost two best friends and broke things off with her long-term partner. It was only upon the realisation that tragic as those things were, they didn’t happen TO her, they happened FOR her that she could use that to help her move on with her life. She started writing her first book the very next day, and is now hugely successful in her work as a spiritual mentor. This story is inspiring to me on so many levels. I can safely say, hand on heart, that nothing really bad has ever happened to me. I never lost a Grandparent until three years ago, and heartbreaking as that was, I felt relief for my Mum more than anything as I could see how hard my Nan’s rapid decline into Dementia was affecting her. Nope. Nothing really bad. That is until I was diagnosed with MS. When I read those words in Rebecca’s book, I realised that this could be a gift. (It has been in lots of ways but that’s a story for another time). The one thing that is absolutely certain, is that it’s given me Faith, rather than robbing me of it. During my journey, I have met another pretty special lady, and that’s Nicola. Nicola has given me the most wonderful gift. Reiki. 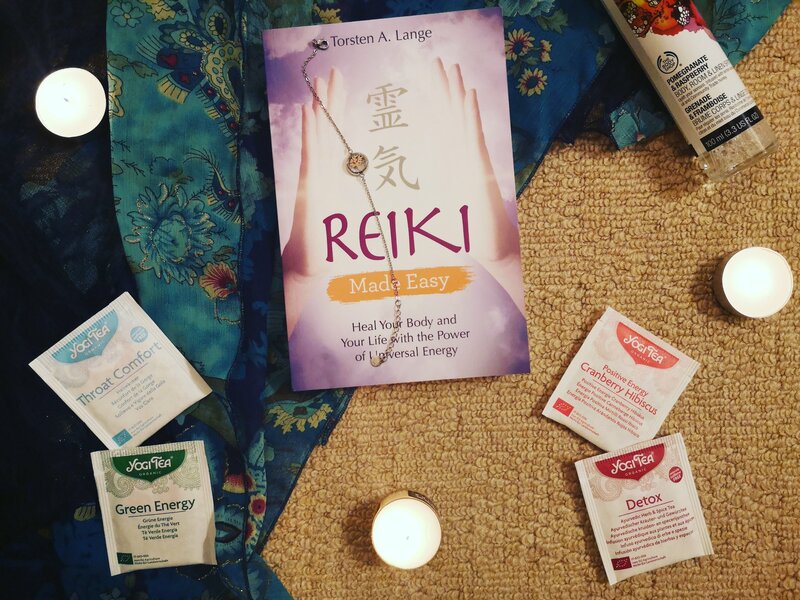 I’ll tell you more about Nicola and Reiki another time. *For some reason, whenever I say her name I have a slip of the tongue and say Rebecca Marshall. I have no idea why this happens, but I need to find out who Rebecca Marshall is, aside from the Hollywood actress. Who by the way I’d never even heard of until I Googled her just now!